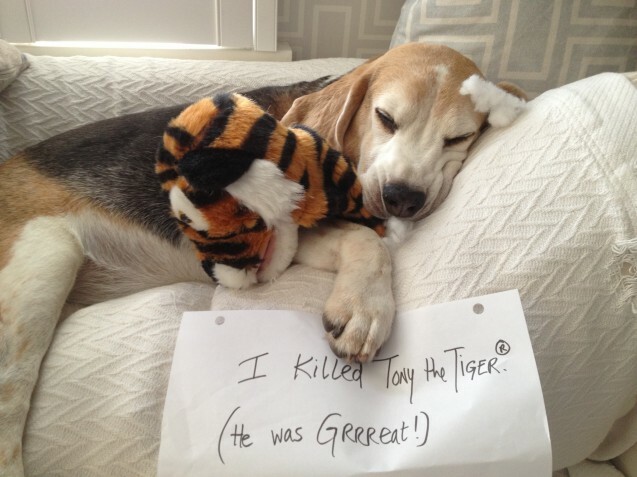 Bowie killed Tony the Tiger. Posted February 20th, 2014 . Oh my gosh, SOOO CUTE!! Bowie, you look quite content with your handy work. Rumble in the jungle indeed! Amateur estimate — looks like there’s quite a lot of Beagle (if not all Beagle) in there. Maybe a bit of Basset… something like that.